Whether you’ve just landed a position or you’re already a seasoned pro, we encourage you to think about your retirement plans today. The decisions you make now will have an impact on your life years down the road. 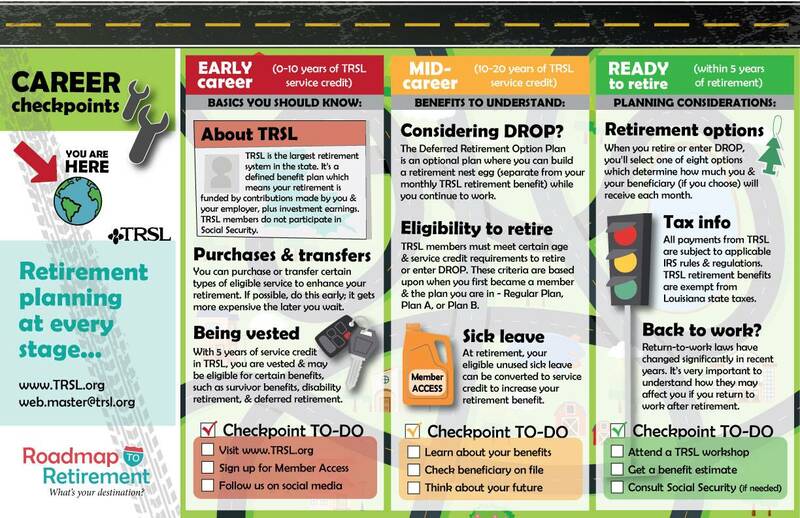 Check out Roadmap to Retirement for useful information about retirement and other financial matters. The information in Roadmap to Retirement will help you to feel more in control, more secure, and more at ease. That will allow you to dream bigger dreams and stress over fewer worries. Best of all, planning for your retirement today puts you in the driver’s seat of your future. Sign up to receive Roadmap to Retirement emails in your inbox today. What are you waiting for?